TomTom may not release any new wearables for the foreseeable future as the company announces a renewed focus on its sat nav and mapping business. It has long been expected that TomTom could drop out of the fitness and sports focused sectors, and the firm has now confirmed the news including a number of redundancies. A statement from TomTom says, "In line with the strategic review announced in the Q2 2017 quarterly results, TomTom is reorganizing parts of its Consumer Sports business. "As a result, 136 roles have been made redundant, of which 57 are in the Netherlands." The rest of those roles are reportedly in US and Taiwan based TomTom offices. The company is planning to continue selling sports products for the foreseeable future, but it'll likely just to be to work through existing stock. If you already own a TomTom watch or tracker it'll be supported by TomTom too, but it's not currently clear how long new software upgrades will last for. That means if you're planning on buying a TomTom wearable, there's no guarantee it'll be supported with new software throughout its lifetime. 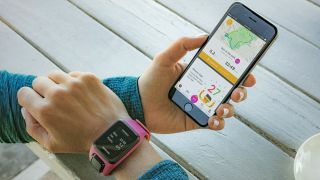 Recently TomTom just pushed its new fitness age features to the Runner 2, Runner 3, Spark, Spark 3 and Adventurer, but it's unclear if there will be further support for other wearables after the latest news. TomTom responded to our request for comment, but wasn't able to offer any further clarification of what this announcement means for its wearables business.